M3M Tee point Sector 65 Gurgaon has been designed by UHA, a London-based, globally acknowledged architecture and design studio, which manages projects across the Americas, Asia, and Europe. The project has been designed by a London based dedicated and energetic team. The optimistic approach of the designers has made the project worth starting a business for the newbies in the field. M3M Tee Point commercial project sector 65 Gurgaon is surrounded by a number of luxurious residential projects some which are from M3M team and some from other real estate developers. If you got an idea and have the zeal and confidence to take a bright step, M3M Tee Point golf course extension road Gurgaon is the best place for you. High visibility and well-furnished units that are air-conditioned and WI-FI enabled to attract a huge volume of potential clients for your business. Not only for business starters, is the place a lovely destination for shopping lovers. 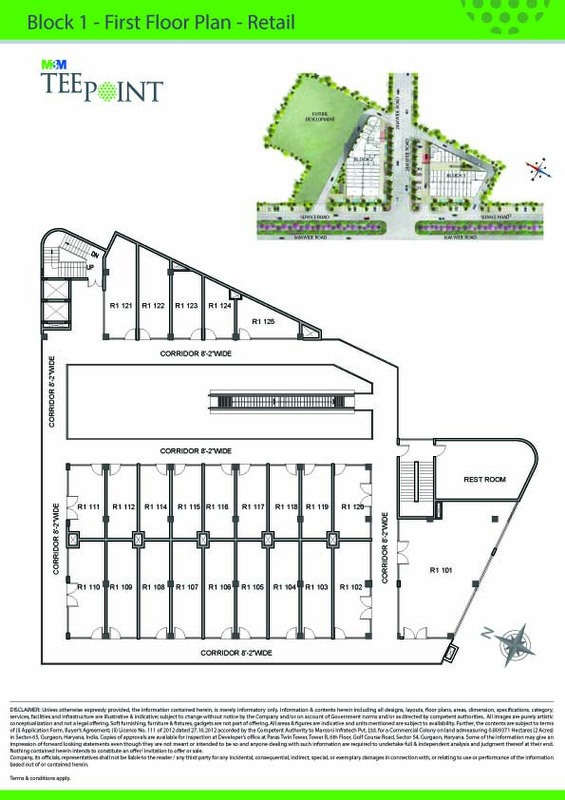 Resale in M3M Tee Point brings an opportunity for the ones who are looking to start a business because the location of the project is just perfect. Huda city center, IFFCO Chowk, airport, and hospitals are all close to the complex plus the driving experience is also smoother. Availability of M3M Tee Point office spaces for lease is a benefit for the ones who can’t buy the shops because of high pricing. Elegant lighting design for façade and landscape to add to the ambiance. Multiple access cores with Escalators, Elevators & Staircases(One dedicated Escalator in Block 1 & a Dedicated Elevator in Block 2)for providing a seamless shopping experience. 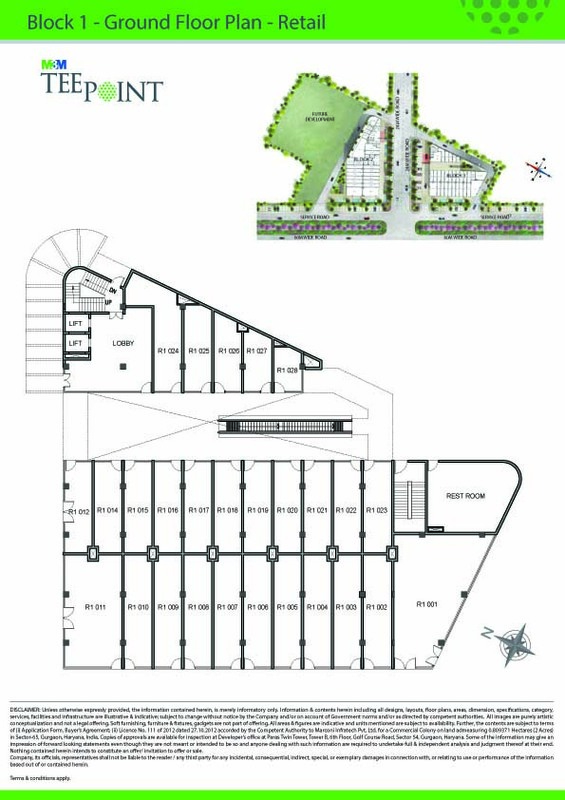 Retail Units of a multitude of sizes, addressing size requirements for varied business needs, on both Ground and First Floor. A fabulous mix of office spaces, retail areas, and F & B. M3M Tee Point Sector 65 Golf Course Extension Road Gurugram is destined to be one of the key destinations of Gurgaon. It encompasses two blocks that are separated by a 24 m wide road, which will become one of the principal access roads to M3M’s prestigious M3M Golf Estate among many other premium luxury projects. Elegant lighting design for facade and landscape to add to the ambiance. 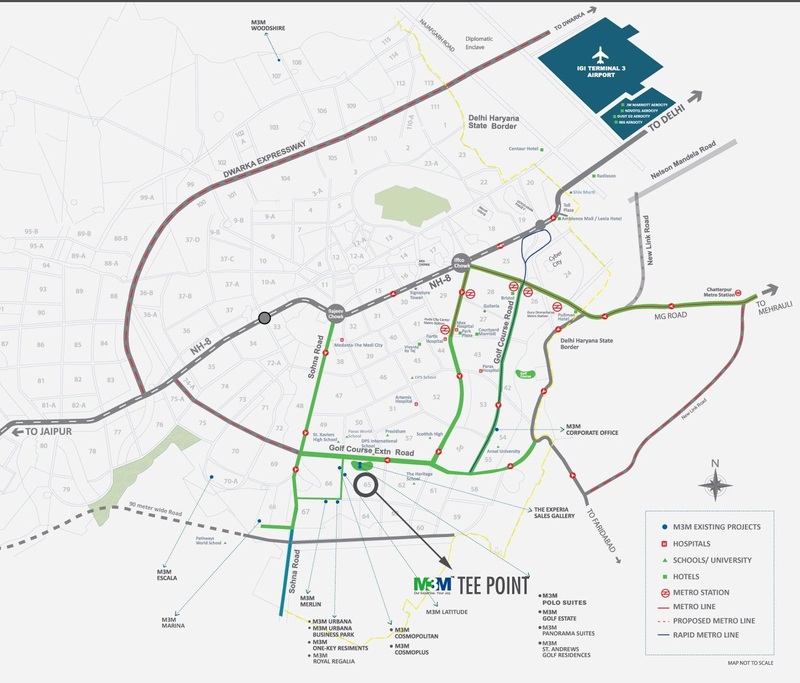 Strategically located at the junction of a 60 m wide sector road and a 24 m wide major arterial road at Sector 65-66, near Golf Course Extension Road, the M3M Tee Point is surrounded by the city’s most affluent upcoming residential developments. 15 minutes drive from IFFCO Chowk. 12 minutes drive from Huda City Centre. 25 minutes from IGI Airport. 10 minutes From Medanta Hospital. A BUSINESS OPPORTUNITY YOU CAN’T AFFORD TO MISS! M3M Tee Point’s prime location, captive markets, affluent neighborhoods and a fabulous mix of office, retail and serviced apartments are sure to give handsome returns to smart investors. Surrounded by the prime residential developments catering to affluent families with high disposable income. Excellent connectivity through multiple interstate highways. One stop solution for office and retail spaces. Provision for Split ACs in the Retail Units with provision for placing the external units behind the Louvers. Large Store Fronts & Gazing area for all retail units. Dedicated Signage areas for all units as per design. Fully Finished Common Toilets with Modern Fittings & Fixtures. Split ACs provided in the Office Units. Ductable Split AC with ceiling hung Indoor unit & outdoor unit placed in the adjacent balcony. Dedicated Drop off & Entrance Lobby for Office units. Internal Signage: Main Lobby equipped with Tenant Directory & Directional Signs. Provision for Cable TV, Optical Fibre connectivity & Fixed Line. Lobby Finish: Combination of Stone and Painted surface. High-Speed Elevator to ensure ease of circulation among all the floors.